Zombie comedies (“zom coms”) are getting precariously close to wearing out their welcome. I mean, there’s only so much humor that can be mined from an undead apocalypse, right? 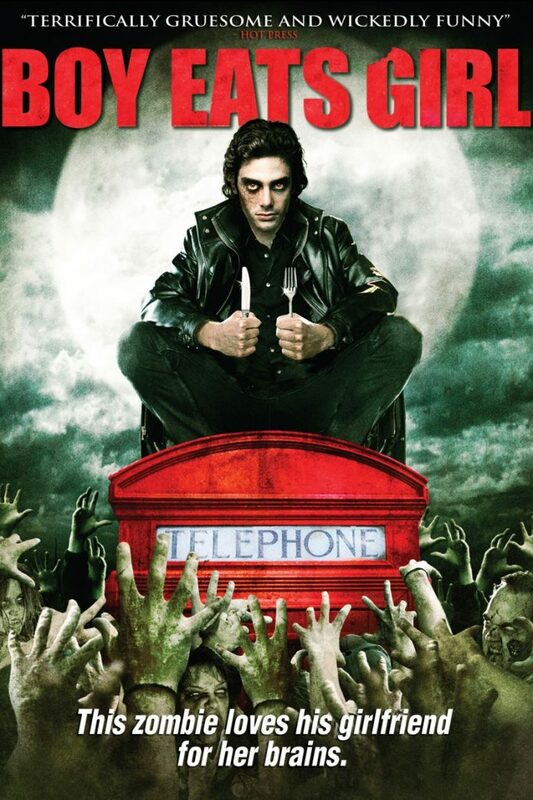 The best of the genre — Shaun of the Dead, Fido — would be funny even without zombies, but the lesser ones — Night of the Living Dorks, Dead and Breakfast, Scouts Guide to the Zombie Apocalypse — rely too heavily on zombiism alone for their laughs (or lack thereof) and thus end up recycling the same old gags. Ireland’s Boy Eats Girl falls into this latter category. Its high school politics-meets-zombie-complication plot is similar to Night of the Living Dorks, except that the kids in Dorks could actually pass for high schoolers. Also, while Dorks‘ brand of comedy is of the slapsticky American Pie ilk, Boy Eats Girl is more like zombie Dawson’s Creek. That is, there’s little of it to be found amongst the cliched teen angst. One interesting thing it does have going for it, though, is that the female lead — Samantha Mumba — is black, proving that: A) there are indeed black people in Ireland, and B) Leprechaun in the Hood might not be that far off base. Samantha Mumba seemed, for about a minute and a half, poised to be a big thing in America, but coming off of her co-starring role in The Time Machine (apparently she even had a Top 10 single, but obviously that was due to some sort of mass delusion), she faded into relative obscurity stateside. Somehow her angry Vulcan eyebrows didn’t appeal to the American public as much as Meagan Good’s. Even though Boy Eats Girl’s comedic efforts generally fall flat, it actually has some nice, gory zombie action going for it, so zombe fans can at least fast-forward past the scenes that look like a CW TV show and get to the good parts. Vicky’s “bloody stump” yard sale attracted few buyers.